We are working hard to become your one and only destination for all your tv and appliance service needs. We are a top rated, locally owned and operated company! Same day appointments available, do you need us there first thing in the morning? No problem! We are focused on your 100% satisfaction. Give us a call now to schedule an appointment with one of our friendly, fast, and reliable technicians. Licensed and insured company of professionals for more than 10 years. Hugo’s TV & Appliance Repair is on your side! We service all of Albuquerque metro area, Bernalillo, Corrales, Placitas, Rio Rancho, Sandia Pueblo and East Mountain Area (Tijeras, Cedar Crest, Edgewood, Moriarty). 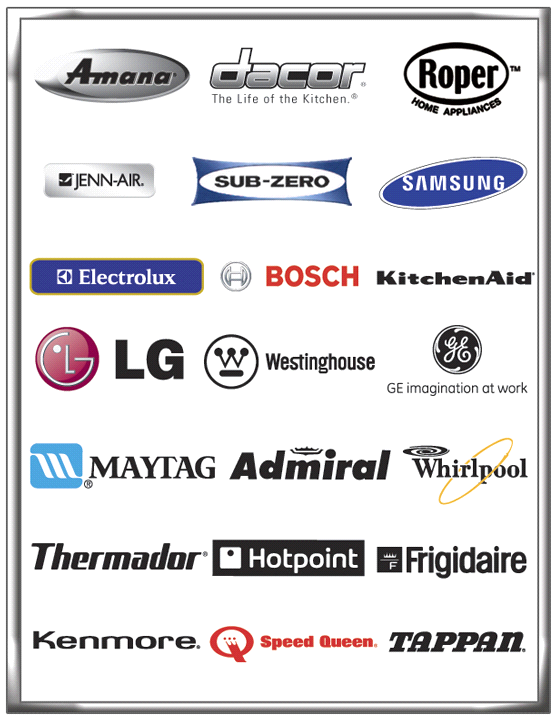 Refrigerator and Freezer Repair, Cooktop Repair, Oven Repair, Range Repair, Stove Repair, Washing Machine Repair, Dryer Repair, Microwave Repair, Dishwasher Repair, Icemaker Repair, Garbage Disposal Replacement, … And more!